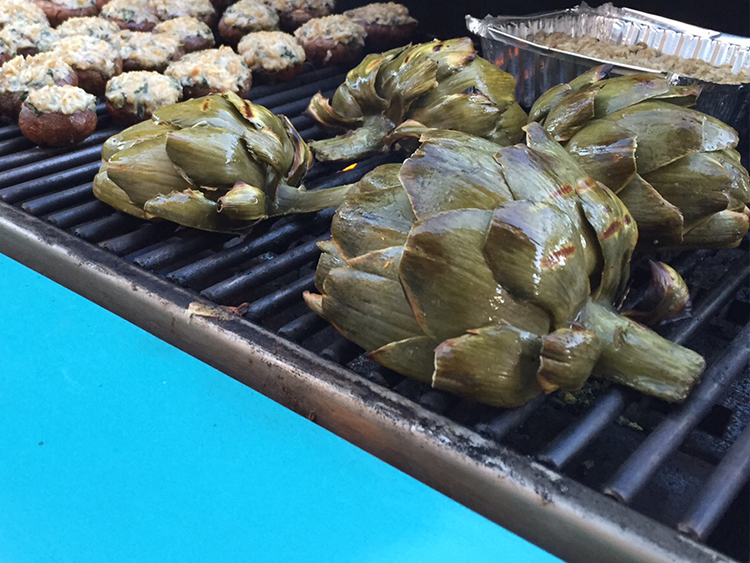 Grill artichokes on your Caliber grill to create a delicious and healthy appetizer for your guests! Cut off the tops of the artichokes with a knife and trim the sharp points with scissors. Break off small outside leaves towards the bottom of the stem. Soak the artichokes for 10 minutes in a bowl of cold water with one lemon wedge squeezed in to avoid discoloration. Steam artichokes for about 25-30 minutes. Allow to cool before cutting lengthwise. Remove choke with a spoon. Squeeze remaining 3 lemon wedges in a bowl for the basting and artichoke sauce. Stir in olive oil, chopped garlic, salt and pepper. 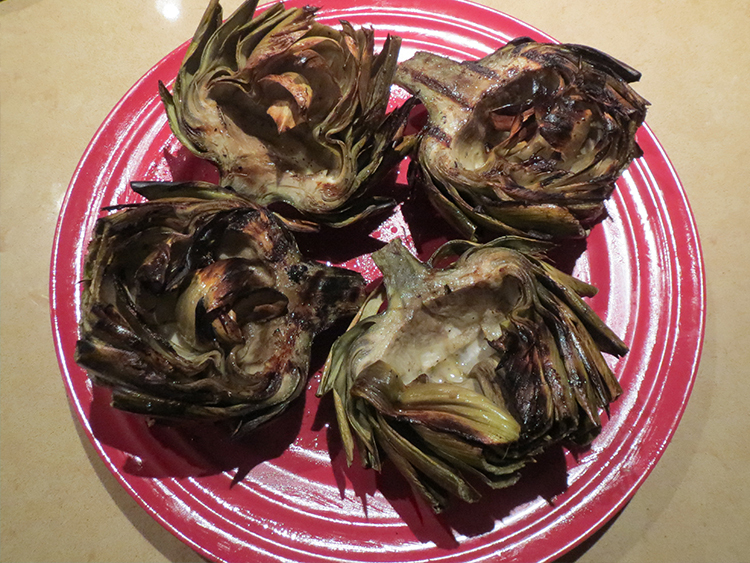 Brush the artichokes with the oil mixture and place them on your preheated Caliber grill. Grill the artichokes for 5 to 10 minutes, basting with the dip and turning frequently, until the tips are a little charred. Serve immediately. A great healthy appetizer!